Having a baby in one hand and packing boxes with the other doesn’t sound like a dream time. Yet, the statistics show that the main reason for moving into a bigger house is starting or expanding your family, so changing homes while pregnant or with a new baby is actually more common than you would think. 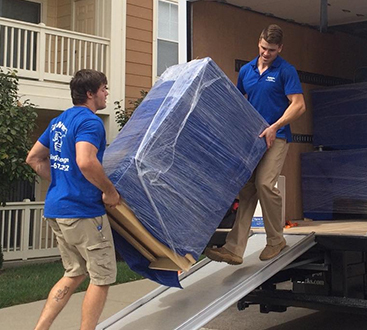 We are here to help you with some advice to diminish the stress of moving both for you and the baby or toddler. We hope to help you keep your sanity and even remain a great parent and spouse in the process. Maybe you are not a natural born project leader, but this is a situation when keeping track of stuff and having lists helps a lot. A rule of thumb when moving house is that you pack the nursery last and start with the least important items like clothes, toys, and blankets. A baby demands a lot of attention and items to help you care for them. Always put these in separate boxes that you don’t place in the moving truck, but keep with you at all times. Think about what you would bring with you for a short holiday, including diapers, clothes, some toys to keep the baby busy, food according to their age and meal preferences, together with sippy cups and pacifiers, bath items. Don’t forget transport items like stroller, car seat and first aid kit. The moving process can be so intense that adults forget about the baby, which in turn, feels neglected, cries and adds to the stress. Instead, take turns in attending to the baby’s needs and consider that as a time to take a break from the hustle and bustle of moving. Ideally, the child should not feel something is going on. If they are older and they can understand, talk to them about the new house, the new opportunities and get them involved. Pay attention to electric stuff, cover all outlets, get cords out of the way and put on high shelves everything that could be a hazard. Think about breakable items, things that are so small they could be eaten or things which could look tempting and exciting to pull, like cords from blinds and shades. If unsure, let a cat play in the room before. Once you have arrived in your new home, your priority should be making your child as comfortable as possible. The place doesn’t need to be perfect, but at least unpack the bed and some toys to make them feel at home. Although you could eventually do the whole process on your own, take a minute to ask yourself if it is worth. Do you want to spend long hours moving around boxes or would you be with your loved ones instead? 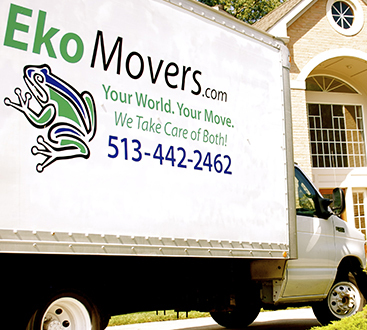 At EkoMovers we have a process which ensures not only that the moving is fast and safe that it is also accurate, no cup or photo frame is left behind.